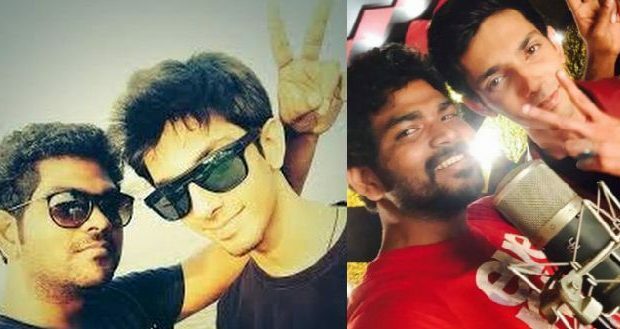 HOT: Vignesh Shivn and Anirudh join hands for a sports film! A highly successful combo in Tamil cinema, director Vignesh Shivn and composer Anirudh Ravichander have delivered hits in the form of Naanum Rowdydhaan and Thaanaa Serndha Koottam. Apart from being professional buddies, both Vignesh Shivn and Anirudh have collaborated on several occasions in the past and have high regards for each other. Meanwhile, it has now been announced that Anirudh's upcoming second Telugu film, Jersey, starring Nani and Shraddha Srinath in lead roles will see Vignesh Shivn penning lyrics for the Tamil version. The song titled "Marakkavillayae" will be released on February 14 on the occasion of Valentine's Day in this film revolving around cricket.